Wrapping up this week with a list of suggestions for "what to do" in Moab, UT! 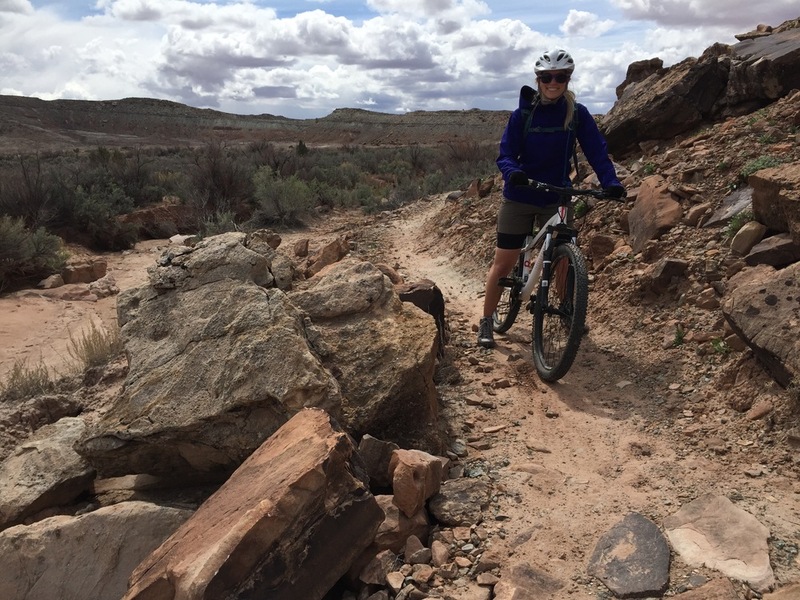 Where to Mountain Bike: There are plenty of options in Moab for mountain biking, but we really enjoyed the Klondike Bluffs! The trails were well marked with signs. And there was a variety of difficulty for the trails to meet all skill levels. Plus, the scenery was absolutely beautiful! Where to Hike: Many options for this activity too, but we stayed in Arches National Park for our hiking days. You can pick up a map at the front gate that gives a detailed overview of where everything is. It also sheds light on each hike, describing the length and difficulty. Make sure to wear your sunscreen and drink plenty of water! Where to Eat: I'll admit it, pretty much every day after we would bike or hike, the hubs and I would stop at the local "Quesadilla Mobilla" food truck and enjoy one of their freshly made, with whole ingredients quesadillas. SO YUM! "The Spoke" was another local place that had good food and a great selection of beers if you or your boo is into beer! Where to Shop: My fav spot that I snagged the cutest little romper from was the Indigo Alley Boutique! Main Street is full of shops where you can buy a souvenier t-shirt. And if you're looking for that southwestern vibe, the Hogan Trading Company was really fun to go in! And they had the most beautiful wind-art pieces surrounding the outside of the shop. I hope that the past couple days have helped any of you that is looking into taking a trip to Moab, UT! The hubs and I will definitely be back one day! It's that awesome!